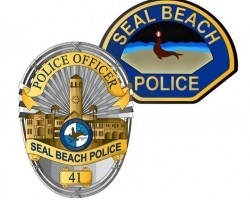 The Matrix Consulting Group is still developing the Police Services Study for Seal Beach. “We are still working with the consultant on this project and are making good progress. I do not have an estimated date of completion,” said Seal Beach Police Sgt. Michael Henderson, the department’s public information officer. The City Council commissioned the study in April for an estimated maximum of $40,000. The council is expected to consider hiring three more officers at an upcoming meeting. A local Seal Beach Police officer is retiring after a long career and two of his colleagues are moving up in the ranks.“Emergency Services Coordinator Julia Clasby will be promoted to Sergeant upon the retirement of Sgt. Rick Ransdell in December,” said Sgt. Michael Henderson. “Cpl. Brian Gray will assume the Emergency Services Coordinator position,” Henderson said.